I heard this in H&M yesterday, and was convinced it was a remix. Seemed too electro for Coldplay. I went home and googled Ink remix, and shockingly found that no such thing existed (I guess it's not good for anyone's indie cred to remix Coldplay lol). So props to Chris Martin&friends** for keeping up w the times and adding some fancy electric drum patterns to your repertoire. I feel guilty now that I didn't listen to Ghost Stories. Because this song is really good!! And leads me to believe the rest of the album is just as legit. I just struggled to buy the magical love songs of Coldplay in the face of the TRAGIC Conscious Uncoupling of 2014. But I guess I should give it a chance. Maybe my mourning period should be over. 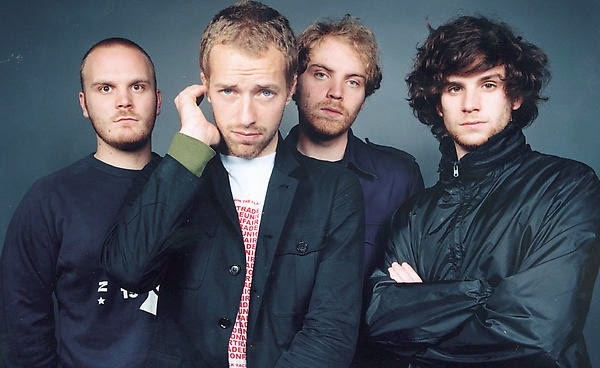 I would also just like to take this time to really emphasize how amazing I think Coldplay is. Although this song bears suspicious similarities to Tracy Chapman's "Fast Car" (thanks to a popular Youtube comment for bringing this to my attention), I still think they are one of the best bands of all time. No I'm not being sarcastic. You try writing 100 solid pop songs and then tell me Coldplay sux. **the truthful name of this band, let's be honest.